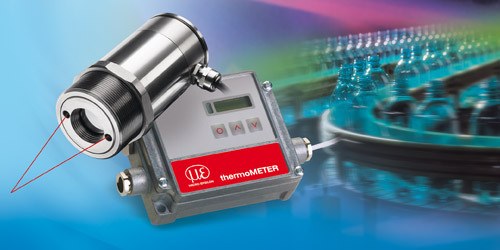 The infrared temperature sensors CT Laser offer high performance measurement with integrated laser aiming. 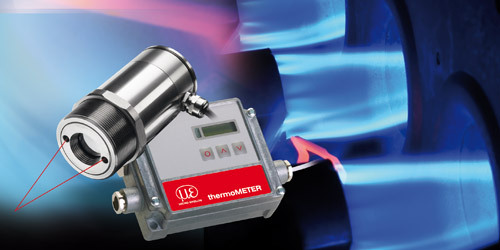 Unlike other IR thermometers with a single laser pointer that denotes the centre of the measuring spot, the CT Laser gives exact spot diameter at any point in the measurement range. 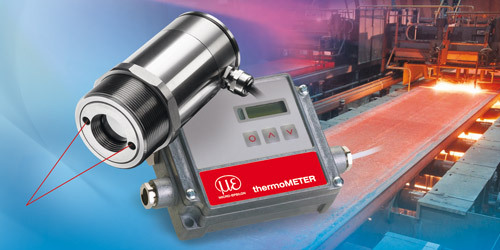 This innovative feature prevents measurement errors due to misalignment to be greatly reduced. The thermoMETER CT Laser GLASS has been specifically designed for accurate temperature measurement of glass targets. In particular thin walled glass containers, bottles, light bulbs, vehicle glass, solar PV cells and thin sheet glass can be measured accurately. 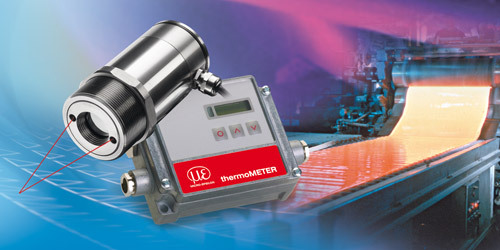 The measurement wavelength of 5µm minimises errors from heat sources behind or surrounding the glass target. 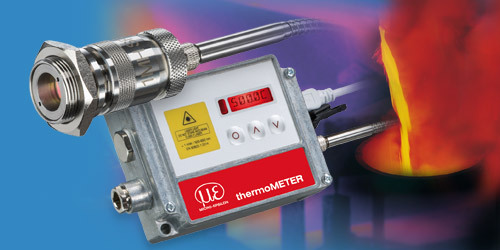 The thermoMETER CT Laser M5 has been specifically designed for accurate temperature measurement of metals surfaces and molten metals between 1,000°C and 2,000°C. 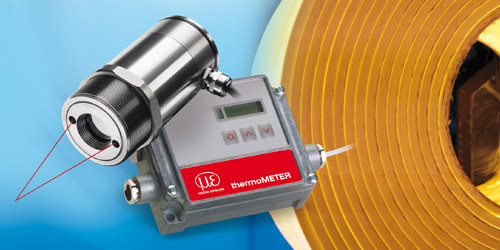 The short measurement wavelength of 525nm reduces errors from emissivity changes to a minimum. With an optical resolution of 150:1, a small spot size can be achieved at long distances, enabling the sensor to be mounted away from the hot target environment. 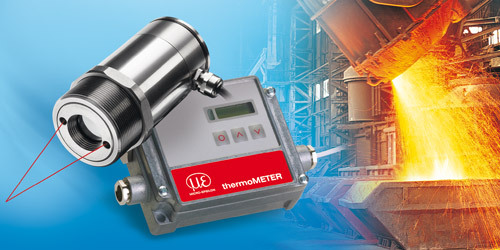 The sensor has an operating temperature range of +85°C however for hotter environments, accessories such as the water cooled housing can be supplied.